I can’t say how much I love this app. 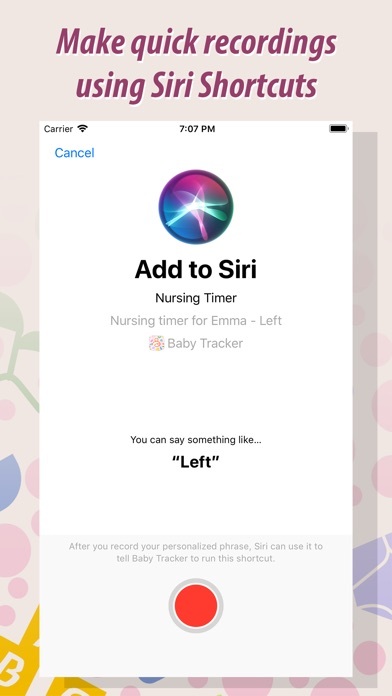 I wish there was a Siri shortcut to “pause” on nursing but I literally use this app every day. I don’t know why but being able to keep track of everything is so helpful and gives me peace of mind. Highly recommend. Going off couple hours of sleep it’s hard to remember a lot of stuff this app is great!!!! Use Siri to start a timer, say which side, add a wet/dirty etc diaper! 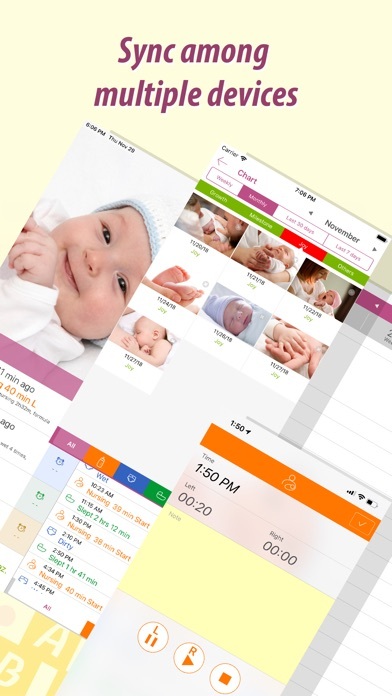 Easy place to keep information when the pediatrician asks for it! Love this app! 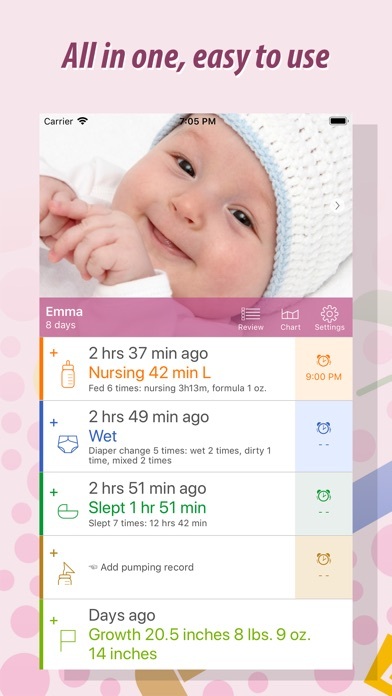 Lets me track feeding, diaper changes, sleeping, pumping, and so much more (tummy time, height/weight, etc.). 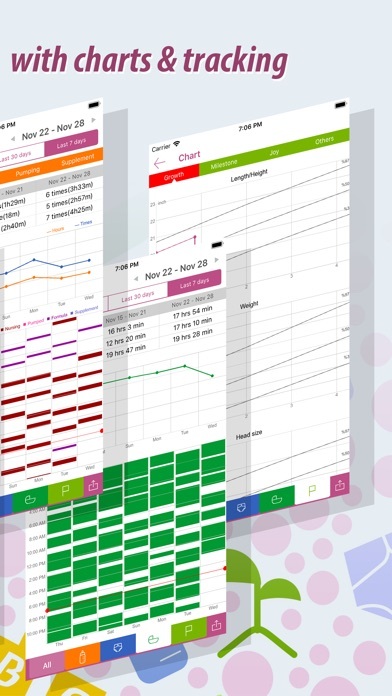 The option to export the data and create reports is an added bonus. 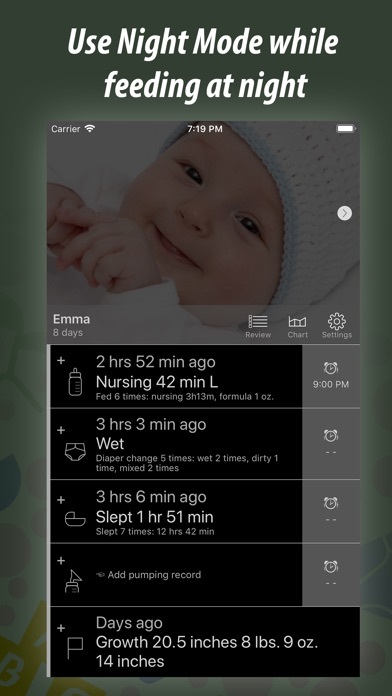 This app has made keeping up with my babies feedings so easy! 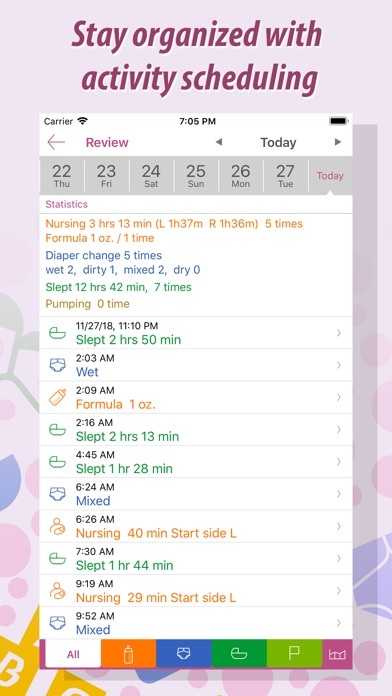 I love that I can keep track of his sleep, diapers, and when I pump too! Tried sharing information with my wife through this app. Extremely finish to link/synchronize. Perfect for a first time mom to keep track of everything. It’s hard to remember the last time the baby ate or was changed & this makes it simple. We always have our phones so this works great! It worked really well for my husband and I. 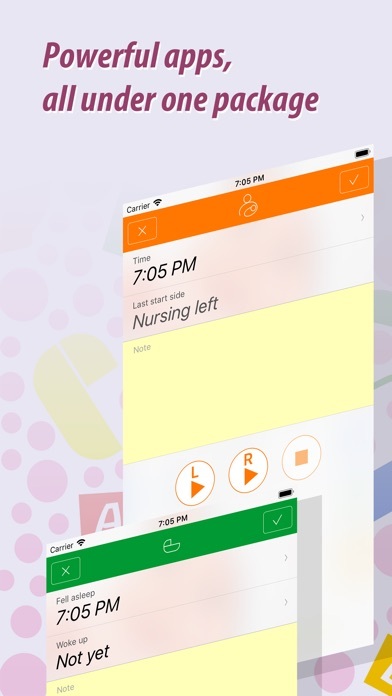 It synced quickly and was very easy to use. 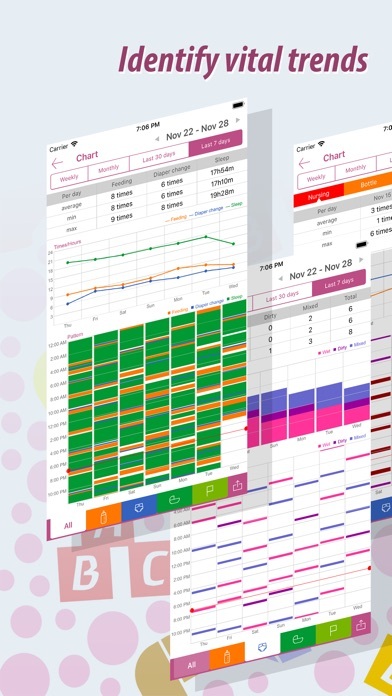 I would recommend this app to all parents with a baby.